Mobile customer relationship management (CRM) solution Linko today announced a $2.6m seed funding round and its acquisition of fellow Berlin startup Localstream. Led by angel investors, Linko will use the funding to build its developer team, improve the product and increase customer delivery capability. Founded in January 2013, Linko provides a fully-automated CRM service that collects sales activity data from smartphones and tablets. CEO Mikko Alasaarela told us that Linko’s USP is its ease of use and tailoring to the end user – sales employees – rather than the management level, as other CRM softwares tend to do. So far, it looks like Linko has impressed its users – although at the moment it’s still in testing mode, 2000 companies are already on the waiting list to subscribe to the software. At €40 per person per month, Linko is priced midway between Salesforce and Microsoft Dynamics. It also faces competition from US-based RelateIQ, which launched last year backed by $29m in funding. Coinciding with the funding news, Linko also announced its acquisition of location-based technology startup Localstream. On the takeover, Alasaarela said: “We saw a strong synergy between the Localstream technology platform and Linko’s core product. Automated location-aware customer communication data will offer a huge advantage to sales managers who embrace mobile devices as sales tools”. 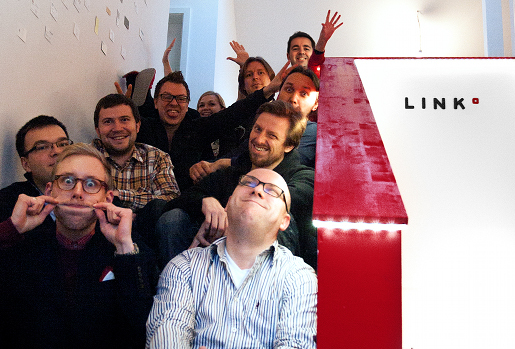 Localstream will cease to exist as a stand-alone product – its technology and team will be integrated into Linko.